Since 2015, RADesign strives to make clients smile one order at a time. With each new project means a new design,. No templates here folks. What does that mean for you? Completely unique designs and unparalleled customer service with you, the client, at the center of it all. You have full input during the entire creative process. We make this a team effort. If you’re here for stationery, or branding your business, physical and digital goods are nothing short of clean, complete, and high quality. Print products arrive protected in branded packaging and presented on high-end card stock and envelopes. Digital products are provided in various formats to fit your needs, including a vector file for large scale printing that won’t distort your brand. Don’t worry, we don’t charge extra for quality, it’s all part of the RAD experience. 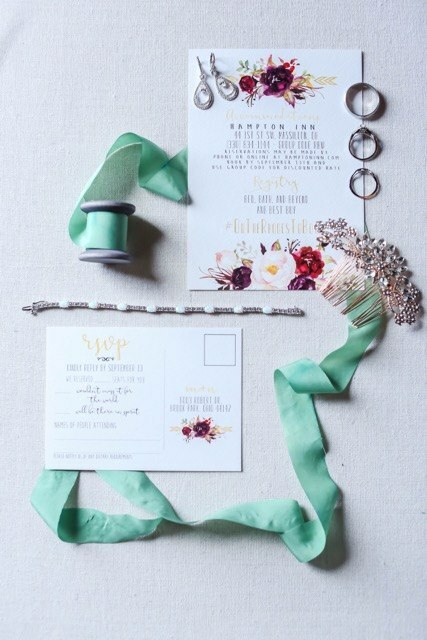 As a bride, the cost of invitations was sickening. I mean, they end up in the trash after all. The look of the cookie-cutter stationery options out there, from the “big guys” and even Etsy, just weren’t ‘it’. So, determined and on a hunt for something affordable, RADesign is born. The same can be said for branding a small business. Those $5 sites regurgitate stock elements that don’t resonate with you or your brand. Stop selling yourself short. RAD wants to make all dreams possible. From vision to reality, at a very reasonable price.